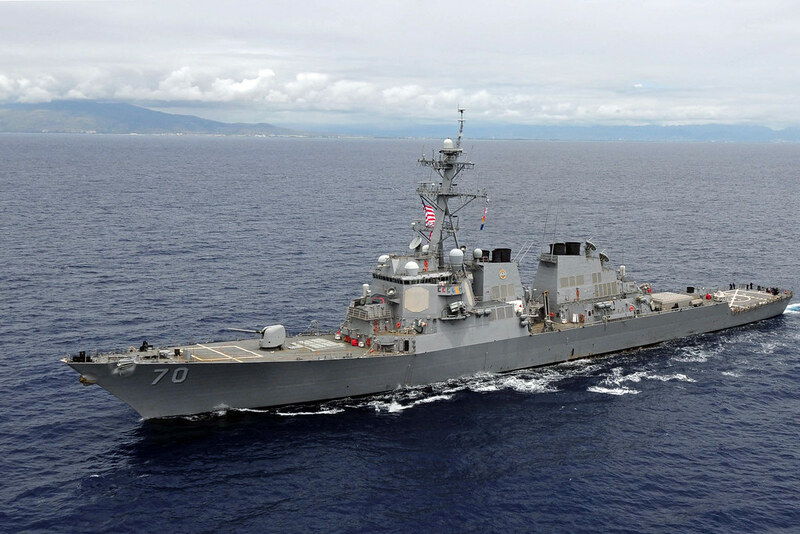 PEARL HARBOR - Arleigh-Burke class guided-missile destroyer USS Hopper (DDG 70) returned home from a 180-day independent deployment to the Arabian Gulf, Western Pacific, and Indian Ocean, Feb. 21. While deployed to the U.S. 5th and 7th Fleets, the ship and crew of more than 330 Sailors, assigned to Destroyer Squadron (CDS) 9, conducted presence and maritime security operations and integrated with six different combined task forces while independently deployed. "This was an incredible deployment which saw six different task forces, which means six different missions and operations, some of which were 'firsts' and set new precedents on what is expected from an independent deployer," said Cmdr. J.D. Gainey, Hopper's commanding officer. "It was our turn to stand the watch, forward and deployed, and we did so with aggressive excellence in every mission placed before us," Gainey added. "This crew absolutely rocked; mission complete." While on station in the Arabian Gulf, Hopper joined Carrier Strike Group (CSG) 10 for integrated operations in support of Operation Inherent Resolve. Under the operation control of 7th Fleet, Hopper conducted routine patrols, maritime security operations, and theater security cooperation activities with allies and partners to enhance regional security and stability. Hopper also participated in the 13th iteration of the Royal Australian Navy's premier multinational maritime Exercise Kakadu. The exercise provided an opportunity for regional nations to participate in a wide variety of maritime activities, from humanitarian assistance and search and rescue operations to high-end maritime warfare scenarios. Hopper is a multi-mission ship with ballistic missile defense, air warfare, submarine warfare, and surface warfare capabilities; designed to operate independently or with a carrier strike groups, surface action groups, or amphibious ready groups. The ship is homeported in Pearl Harbor and is part of Naval Surface Forces and U.S. 3rd Fleet.